A portion of the Mountaineer Plant carbon capture system project validation facility is shown above. Citing current uncertainty around U.S. climate policy and the continued weak economy as considerations, AEP has made the business decision to place on hold the activities to take carbon dioxide (CO2) capture and storage (CCS) technologies to commercial scale at the Mountaineer Plant. AEP plans to discontinue further work on the project this fall when it completes the project’s first phase, a decision point that was built into the project plan. AEP has terminated its agreement with the U.S. Department of Energy (DOE) and has notified Alstom and other project participants of this decision. “I hope that all AEP employees recognize the vital contribution they have made to advancing clean coal technology and our ability to continue to provide customers with an affordable, reliable and environmentally-responsible source of electric energy,” said Michael G. Morris, AEP chairman and chief executive officer. “Our recently-concluded validation project provided valuable insights for the advancement of CCS technologies. “AEP, with the help of Alstom, the Department of Energy and other partners, has advanced CCS technology more than any other power generator company with our successful two-year project to validate the technology. But at this time it doesn’t make economic sense to continue work on the commercial-scale CCS project beyond the current engineering phase,” he said. The scale up project was designed in four phases. This “project definition” phase consisted of the Environmental Impact Study, front end engineering and design, geologic characterization study of proposed injection sites and a detailed cost estimate. AEP will complete Phase I activities and deliverables outlined in its agreement with DOE. Phase 1 deliverables include valuable design and cost information that will prove critically important at such time that AEP deploys CCS technology within its fleet. In December 2009, the DOE, though the Clean Coal Power Initiative Round 3, agreed to fund 50 percent of project costs up to $334 million, to apply the capture and storage technologies at commercial scale, on a 235 megawatt-electric slipstream of flue gas. AEP’s decision to discontinue activity on the scale up project is a business decision. As a regulated utility, it is impossible to gain regulatory approval to recover our share of the costs for advancing the technology without federal requirements to reduce greenhouse gas emissions. The uncertainty also makes it difficult to attract partners to help fund the industry’s share. AEP still believes advancement of CCS is vital if owners of coal-fueled generation are to comply with potential future climate regulations without prematurely retiring efficient, cost-effective generating capacity. The company would consider hosting further work to advance CCS technology if economic circumstances were to become favorable. In late 2009, AEP and its partners made history when they began operating the first fully-integrated CCS project at an existing coal-burning power plant. This initiative confirmed AEP’s role as an industry leader in advancing CCS technologies as one of several AEP initiatives to address the issue of climate change by reducing greenhouse gases and thus reaffirm coal’s ongoing role in fueling a reliable and affordable supply of electric power. 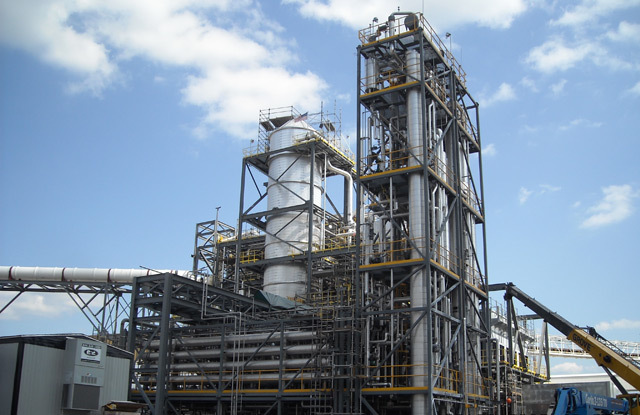 Between September 2009 and May 2011, the Project Validation Facility (PVF) validated the capture and storage technologies and confirmed that technologies can be successfully retrofitted on an existing coal-fired plant. Stored more than 37,000 metric tons of CO2. By May 2011, the PVF had met its goals and the successful project concluded. Lessons learned were applied to the commercial scale project’s phase I and will be available to help ensure readiness when conditions warrant continuation of the project. Phase 1 deliverables include valuable design and cost information that will prove critically important at such time that AEP deploys CCS technology within its fleet.